This post is sponsored by MEFA and Fidelity. All opinions are my own. It’s never too early to talk to your kids about money. Understanding financial literacy is a fundamental skill that all people should have. 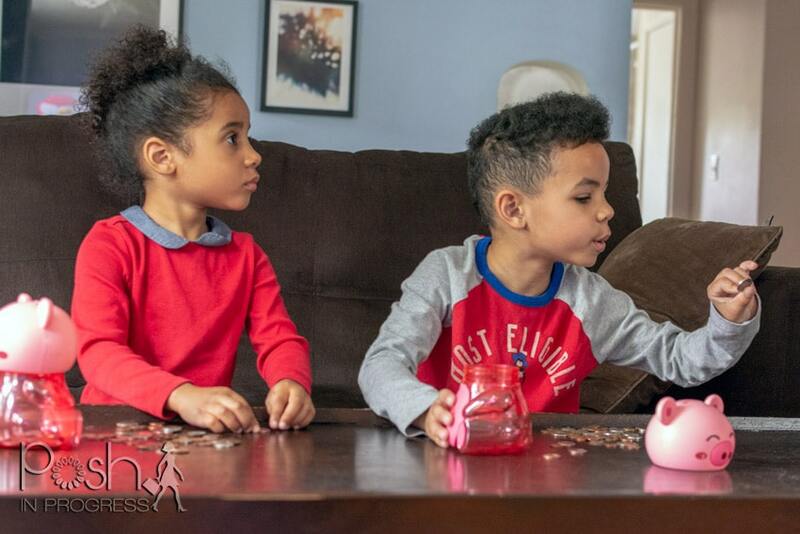 Getting your kids to understand finances when they are very young will set them up for financial success when they get older. As a child, my parents did a great job teaching me about money and finances. Early on, I remember I had a piggy bank and saved all my pennies, so I could buy the Barbie I wanted. My dad even talked to us about the stock market and told us about his investments. He drilled into our heads that “a penny saved is a penny earned,” and he always helped us understand the value of a dollar. I want my kids to have the same (if not better) level of financial literacy than I had. Thus, I’ve already started teaching my preschoolers about money. 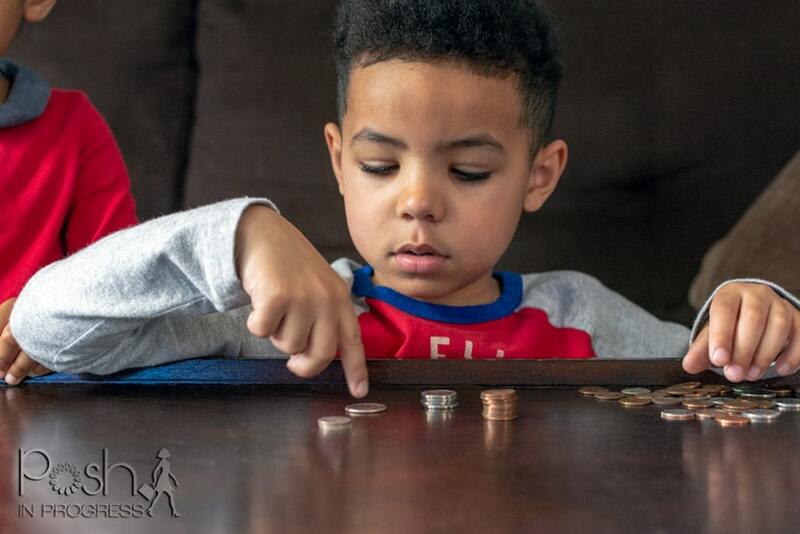 These 7 tips are great little tricks to starting teaching your young kids about financial literacy. Early on, even as young as 3 years old, kids begin to understand that they need money in order to get things. The reason they understand so early is because they watch everything you do. They see you give people either money or credit cards in order to get things at the store. What they might not understand is what money is and how they can get some. To start, you can talk to them about forms of money. Show them the different types of coins and bills you have. If you have foreign currency, explain to them that all different places in the world use money. You can also start explaining about credit cards and how those also work as money. With really little kids, it might be too complex to describe the concept of credit, but slightly older kids will understand. 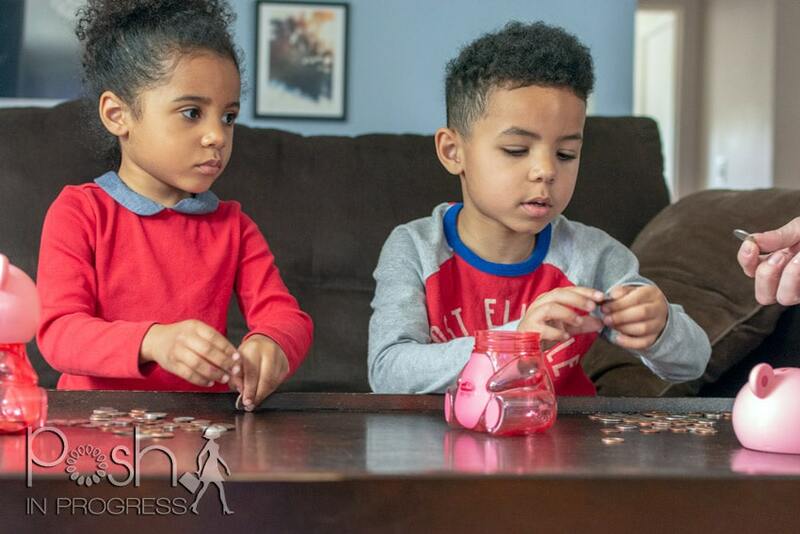 One of the most important aspects of teaching young children about financial literacy is to teach them that they have to earn money in order to get things. I remember when my son was about 3 and he asked for an expensive toy. I told him it was too much money. His response was that I should just go to the bank and get some. That was a perfect moment for me to explain to him, at a very basic level, that I have to go to work to earn money. Money doesn’t just come from the bank. In order to take money out of the bank, I first have to go to work to earn the money. It is never too early to let your kids work to earn money. How you want your kids to earn money is completely up to you and your parenting values. Some parents give their children an allowance, if they complete their chores. While other parents give their kids an allowance if they have a good week, month, or semester in school without getting into trouble. Still other parents want their kids to do things that are above and beyond the normal expected chores in order to earn money. Some parents even want their kids to start by being little entrepreneurs with their first lemonade stand. All of these are great way to get your kids to understand that they have to do a task or work in order to earn money. What is most important here, is that your child sees the connection between work and earning, however you want to make that connection. When I was a child, I earned an allowance through doing chores. I also earned a financial reward at the end of each semester for each A I brought home on my report card. These were little ways my parents incentivized the work I did, while giving me financial credit for the effort. Once my kids start school, I plan to enact a similar financial reward structure for their help around the house and also for doing well in school. For my son’s fifth birthday, he received some money from his grandmother. He was very excited to have dollar bills for the first time. Yet, what he didn’t understand was the difference between the denominations of bills. He actually preferred all the coins in his piggy bank, since there were more of them. At that moment, I tried to explain to him the different between the bills and also started a discussion about what he could do with that money. I told him he could pick something out the next time we went to our favorite big box retailer. A few days later, as we walked down the toy aisle, he pointed out all the different things he wanted. I used that as an opportunity to explain what things cost. We talked about value and I explained he didn’t have enough money to get all of those things. I showed him examples of things he could afford and he ultimately found something he loved! As another example, my kids have asked us to get a new car; they really want us to get an SUV. We’ve explained to them that cars are very expensive and we try to equate the cost with something they understand. Given that they don’t quite yet understand what large numbers mean – to them 100 is very big, so when we say the car costs 10,000 times, that really doesn’t mean much to them. However, it does help when we put it into kid-friendly terms. For example, I equate it to the number of cars or trucks or dolls they could buy. Of all the financial literacy lessons, for me, this is one of the most important. It is much easier for us to set our kids up for success if they understand that they can’t always have everything. It is especially important for them to realize that there are a lot of times in life that they simply can’t have something because they don’t have the money, or because they need to wait. It’s really essential for kids to learn patience and delayed gratification. Learning to wait and save is a great life lesson. I personally believe life is a lot easier if you don’t always expect you can have everything that you want all the time. Also, you should talk to your kids about the absolute necessities in life (food, water, shelter, clothing). Then, talk about all the additional things that make our lives better. I know it might be a strange concept for us to even think about, because I bet most of us consider our cellphones a need. For some of us they are, but in reality, they are actually a want. If you had to give up your phone, your life would not end, but if you had to give up food or water, it would. That’s the main difference we should try to get across to our kids. We have a lot of conveniences that make life easier. Cars, gym memberships, cell phones, tablets, etc. But in reality, those are not necessary to live. They only make our lives better and easier. After discussing necessities, then it is a great time to introduce how you determine your own spending choices. Most of us choose to have cars, cell phones, cable television, dinners out, vacations, more shoes than we need, etc. You can talk to your kids about how you prioritize your spending. You can explain why some things are more important than others. Ultimately, this conversation is about values, so it will depend on what you value individually or as a family. I use this step as a time to talk about why we like to use our extra money to take trips and go out to dinner, for example. I would talk to my kids about how I value experiences over material things, when I can. It is never too early to start a savings account for your children. I actually opened an account for my kids when they were first born. I put some of the gift money I received upon their births and for their showers into the savings accounts. Although I haven’t actually started making them put money into the accounts yet, I plan to do this when they start earning more money. For example, when I first started working in high school, my parents made me give them half of my money for savings. I remember at the time thinking that was really harsh. In hindsight, it was a great practice in financial savings. I was able to use that money as spending money in college, which was very helpful. It also forced me to learn delayed gratification and to value the money I did have a whole lot more. I bet every single time you go to the store your kids ask for something – be it candy, toys, or clothes. 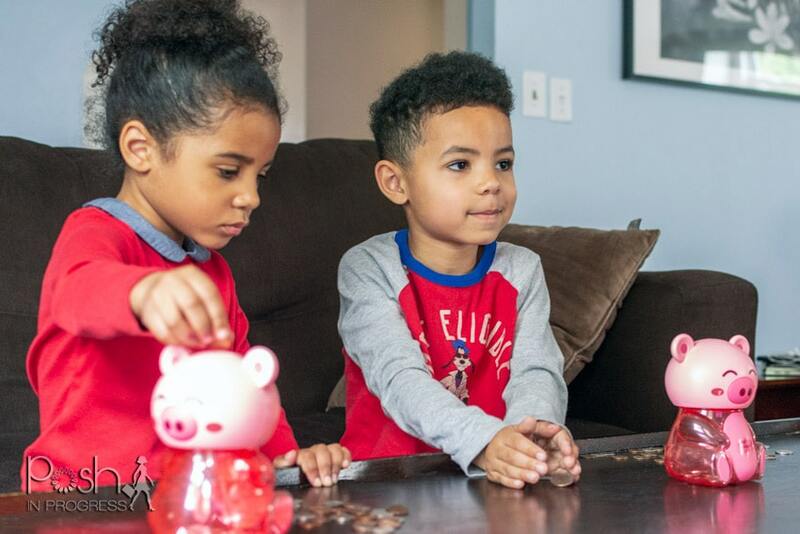 These asks are great opportunities to teach your kids about setting savings goals. You can help them work toward those goals. You might offer them incentives to earn more money to go toward their goal item. Or, you might reward their good behavior with money toward their goal item. Whatever works with your personal values, you can use to help them learn about saving for short and/or long-term goals. You can also help them understand the significance of finances for their futures by setting up a college savings account when they are young. You can have meaningful conversations with your kids about saving for college and also help them to start to think about their goals for the future when they are young. I already talk to my kids about what they want to be when they grow up, and try to help them dream big and realize they can do and be whatever they want to be if they work hard enough and prioritize their schooling. 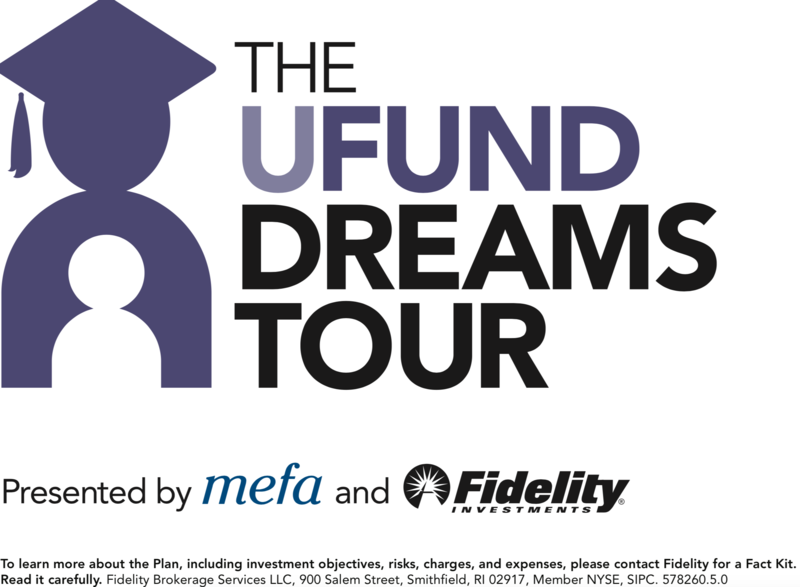 You can learn more about MEFA’s U.Fund College Investing Plan by going to their site or for my MA friends you can visit the U.Fund Dreams Tour activation at local event this summer and fall. Visiting the U.Fund Dreams Tour activation will be a great opportunity to talk with knowledgeable staff. They can answer all my questions about college investing. There will also be fun games for kids to enjoy while parents are learning more about college savings. I’m planning to attend the Wachusett Mountain Kids’ Fest the weekend of September 22 – 23 and I can’t wait to bring my kids to the U.Fund Dreams Tour booth. If you’re in the area and plan to attend, let me know, I’d love to meet up! I hope you find these 7 tips helpful when introducing financial literacy with your young children. It is so important for people to understand their finances. Starting our kids early will set them up for success later on.